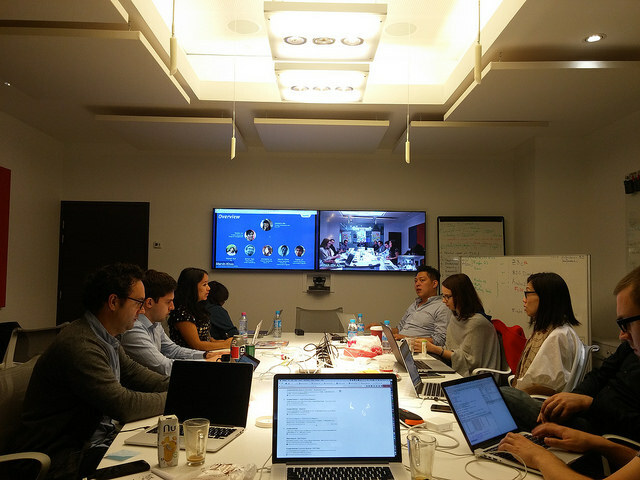 Though a great deal was achieved and accomplished through the Participation Team’s collaboration with Firefox OS, a major realization was that participation can only be as successful as a team’s readiness to incorporate participation into their workflow. Firefox OS was not as open a project as many others at Mozilla, and in terms of engineering was not structured well enough to scale participation. Firefox OS was identified as an area where Participation could make a major impact and a small group from the Participation Team was directed to work closely with them to achieve their goals. After the Firefox OS focus shift in 2015 from being partner driven development to user and developer driven, participation was identified as key to success. The Participation Team did an audit of the current state of participation. We interviewed cross-functional team members and did research into current contributions. Without any reliable data, our best guess was that there were less than 200 contributors, with technical contributions being much less than that. Launch teams around the world had contributed in non-technical capacities since 2013, and a new community was growing in Africa around the launch of the Klif device. Based on a number of contribution areas (coding, ports, foxfooding, …), we created a matrix where we applied different weighted criteria. Criteria such as impact on organizational goals, for example, were given a greater weighting. Our intent was to create a “participation sweet spot” where we could narrow in on the areas of participation that could provide the most value to volunteers and the organization. In parallel, we built out the Firefox OS Participation team, a cross-functional team from engineering, project management, marketing, research and more areas. We had a cadence of weekly meetings, and communicated also on IRC and on an email list. A crucial meeting was a planning meeting in Paris in September, 2015, where we finalized details of the plan to start executing on. To showcase and track technical contributions to Firefox OS. 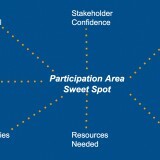 We would list ways to get involved, in multiple areas, but focusing on the “sweet spot” areas we had identified. The idea was not to duplicate existing content, but to gather it all in one place. To facilitate foxfooding, a place where users could go to get builds for their device and register their device. The more people using and testing Firefox OS, the better the product could become. The Hub came to life in early November. There were a number of challenges that we faced along the way. Participation requires a large cultural shift, and cannot happen overnight. Mozilla is an open and open source organization, but because of market pressures and other factors Firefox OS was not a participatory project. One learning was that we should have embedded the program deeper in the Firefox OS organization earlier, doing more awareness building. This would have mitigated an issue where beyond the core Firefox OS Participation team, it was hard getting the attention of other Firefox OS team members. Timing is always hard to get right, because there will always be individual and team priorities and deliverables not directly related that will take precedence. During the program rollout, we were made acutely aware of this coming up the release of Firefox OS 2.5. For participation to really take hold and succeed, broader organizational and structural changes are needed. Making participation part of deliverables will go some way to achieving this. Managerial buy-in. “It’s important to have permission to have participation in your work”. Going one step further, it needs to be part of day-to-day deliverables. Are there tools open? Do you have a process for bug triaging and mentorship? Is there good and easily discoverable documentation? Do they have an onboarding system in place for new team members (staff and volunteers)? Measurement. How can we systematically and reliably measure contributions, over time, to detect trends to act upon to maintain a healthy project? Some measurements are in place, but we need more. 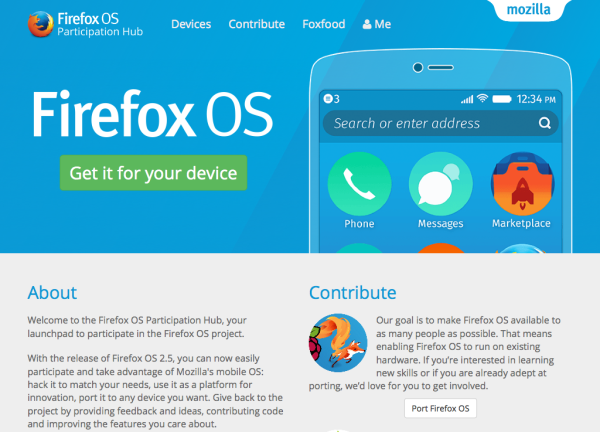 We put Participation on the map for Firefox OS and as announced at Mozlando, the Connected Devices team will be doubling down its efforts to design for participation and work in the open. We are excited about the challenges and opportunities ahead of us, and we can’t wait to provide regular updates on our progress with everyone. So as we enter the new year, please make sure to follow us on Discourse, Twitter, and Facebook for latest news and updates. Brian, on behalf of the Participation Team. Your concept of “participation” suffers from the same perspective as most communication that comes out of Mozilla. Your question, at Mozilla, of how you can get outsiders to contribute to Mozilla projects is backwards. Instead, your question ought to be how can you get Mozilla participating in an open Firefox OS project, one run by non-Mozilla and Mozilla folk. Adopting the latter perspective, you realize directly that you face two core issues: the first, how to transform FirefoxOS into an open project run by its own community; the second, how to organize Mozilla to reach its own goals while involved with such an open project which is not driven solely by Mozilla interests. Unfortunately, you have an additional hurdle to overcome now, one of trust. There has been so little attention paid to the priorities of of the community in the Firefox OS project that contributors simply do not trust that the project can be converted into an open, collaborative effort. So try to think less of “onboarding” the community into Mozilla and try to ask more how to onboard Mozilla into the community. Adrian, I think we are on the same page. I absolutely agree with your characterisation of an open source project/community. The proverbial cart can’t come before the horse, in that the participants need to fit the needs of the project, and not vice versa. I believe I say this in the post, when talking about how the Firefox OS organisation needs to be more participatory. Not only to attract more contributors to the project, but to be a more active part of the project themselves. With the project focus change happening, it is a great opportunity to build out a truly open and dynamic project. But first we have to get some of the basics in place.